I am lucky enough to travel around Zimbabwe and the region doing photographic work for some amazing lodges and hotels and rightly so, people who talk to me about the work are almost always jealous of my travels, laughing accosting me to get a proper job and that swanning around 5 star establishments can't seriously pass as hard work! Well let me attempt to dispel that myth and start by saying that contrary to mass opinion it is actually very hard work, enjoyable yes as I get to travel and see some fantastic camps and places, but no less hard work that any other projects we take on. So whats the challenge you may ask? Well I am often travelling to places I have never been to and am asked to essentially capture the life and soul of a place that I am unfamiliar with, this requires keeping my eyes open and my creative juices flowing 24/7. It also requires a lot of planning by the lodge management and executing vastly complicated setups shots with a very small time window. Often there is no second chance so the pressure is always on. I take the work seriously, work hard and produce the goods, and I am confident that this is reflected in our portfolio. 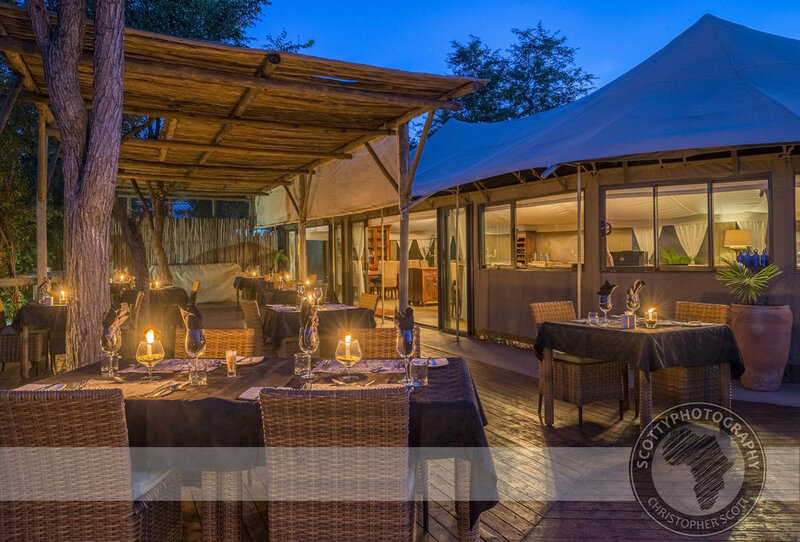 So I was very excited when Wild Horizons asked me to come to Victoria Falls and photograph their luxury safari lodge; The Elephant Camp. This would be my first time working with Wild Horizons and so naturally I was keen to impress as usual! Needless to say there was a lot to do and I take my hat off to the management of the camp for their endless support in the face of my never ending requests! The smallest things can cause consternation on a shoot like this, for example we where shooting a romantic dinner setup on the pool deck of the camp and the firewood was quite wet and stubborn which caused some heart failure in no small amounts when the evening light was perfect and the fire refused to take! You can see some of the frantic energy required to make this all happen in the short time lapse video below. Despite the stubborn fire the fantastic team from the camp and myself managed to make it work, as you can see from the resultant pics below. In addition to the frantic planning, the right equipment also goes a long way in ensuring that the shots I take are of the utmost quality, watch below as I explain why a perspective control or tilt shift lens is an essential part of my equipment for a lodge or architectural shoot. 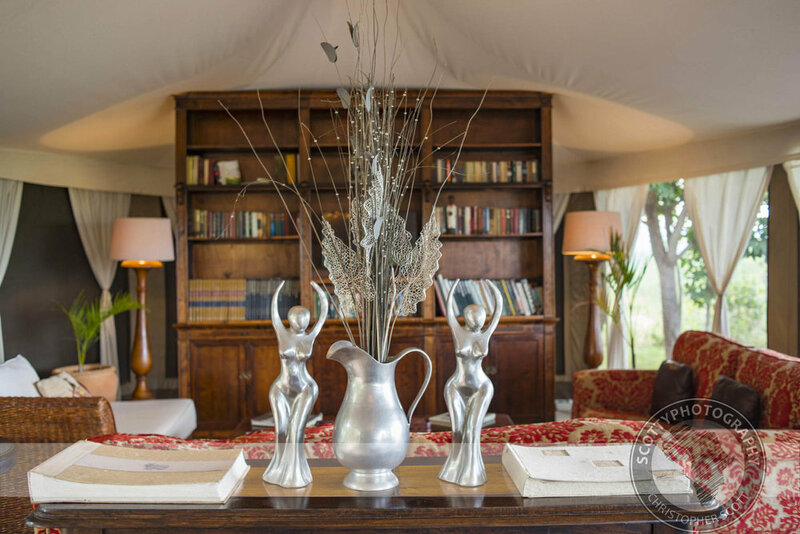 A big part of any lodges' marketing drive is visuals of the rooms as visitors often judge the luxuriousness of their destination by the opulence of the rooms. 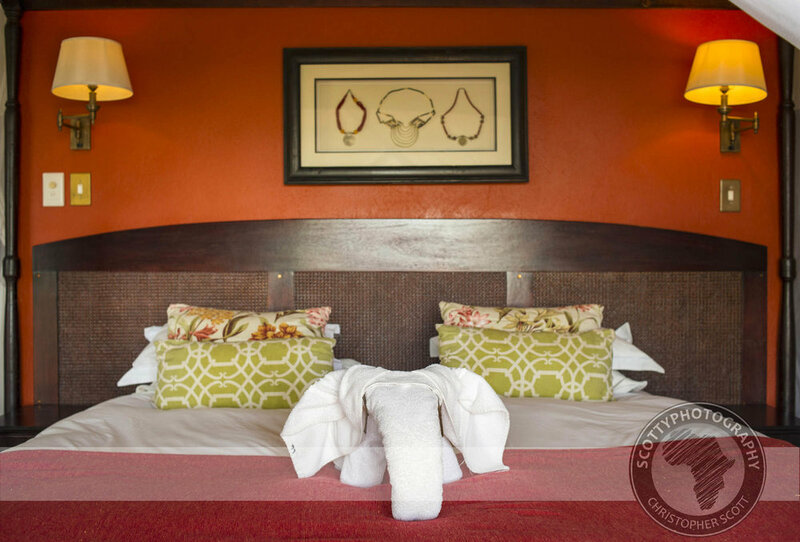 Without understating it too much the rooms at The Elephant Camp are amazingly appointed and fantastically comfortable! So in order to showcase this quite a lot of effort went into showcasing the rooms from as many different angles as possible and at different times of the day. Speaking as one who loves their food as much as anything else in life I can confidently say that the food at The Elephant Camp was delicious! This made photographing the food even easier! 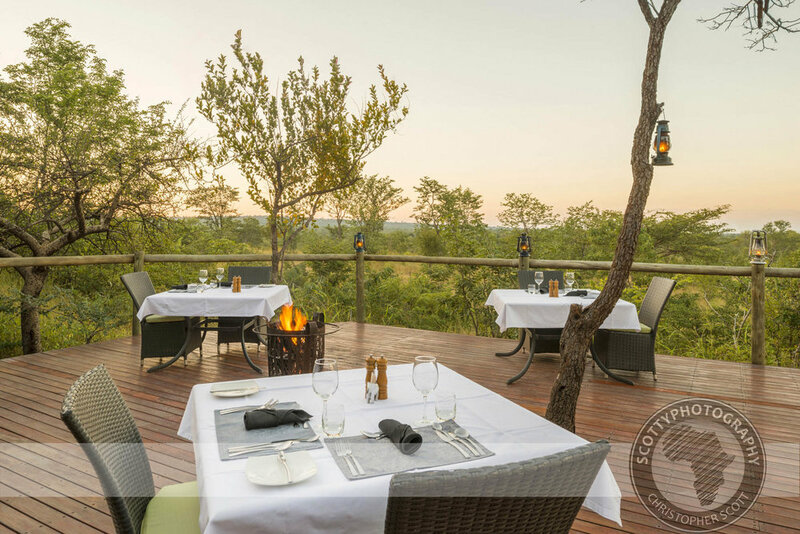 The main boma is exquisitely appointed with lots of wide windows that gave you the impression of actually sitting IN the view. 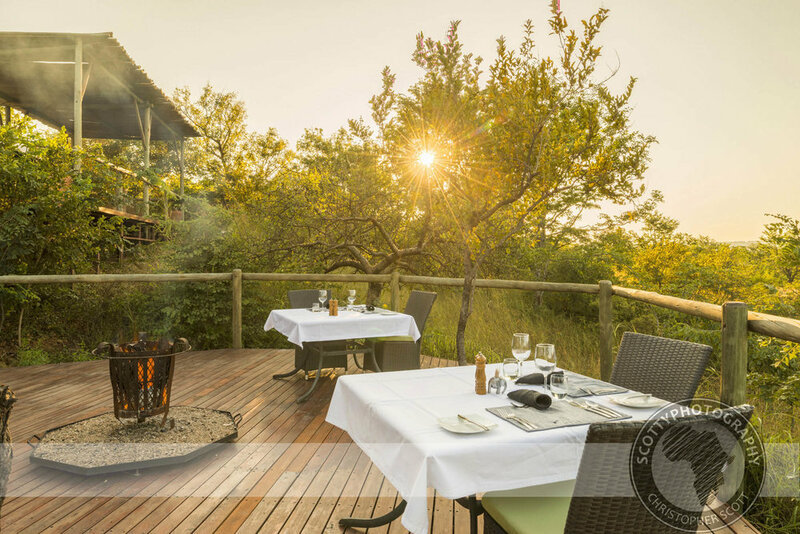 The ever spectacular dance of the iconic 'Moisi O Tunya' or spray from the mighty Victoria Falls was a welcome accompaniment to any meal or chill time on the deck of the main area, and is one of the lodges' draw card selling points.